You have to search hard to find that this colourful and informative booklet is by Nick Hodgson (in tiny text on p.5, if you must know). It is a popular account of the WallQuest project. Regional archaeological societies are dead, long live community archaeology! All nonsense of course, but any money coming into archaeology has to be welcomed, whatever the buzzwords that have to be wielded and diversity-shaped boxes that must be ticked. Everything is an exercise in beating a concept for a project until it resembles the criteria for funding (or is it the other way round?) so all praise to TWAM for making this whole thing work. The full excavation reports will appear in due course, mainly in Archaeologia Aeliana I suspect, but in the interim there is this promptly produced account of the whole thing. Look, mum, somebody is actually digging Hadrian’s Wall, still! Neither Amazon nor Hive stock this (why not?) so you have to buy it direct from TWAM. Colloquially known as The Purple Brick, this is less of a field guide than a portable reference book. 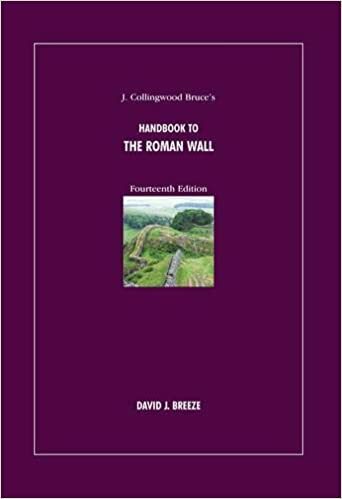 Everything you could possibly need to know about every inch of Hadrian’s Wall, with a pretty decent introductory section. Its origins lie in Collingwood Bruce’s original Wallet-Book of the Roman Wall: a Guide to Pilgrims Journeying Along the Barrier of the Lower Isthmus from 1863, which became a Hand-book and then (as the Handbook) evolved through several editions (and editors, who gradually – and inevitably: times change – hacked away at the original text and illustrations, each making it it their own). Secondhand editions of old Handbooks are even collected by some murophiles. To modern tastes, the various walking guides (like Mark Richards’, described earlier) are probably better companions (but less likely to be up to the mark factually). True nerds will of course have two Bricks – one for reference at home and a tatty one for taking into the field; the very thought that anybody might not is, frankly, baffling to me. Amazon Hive does not have it. 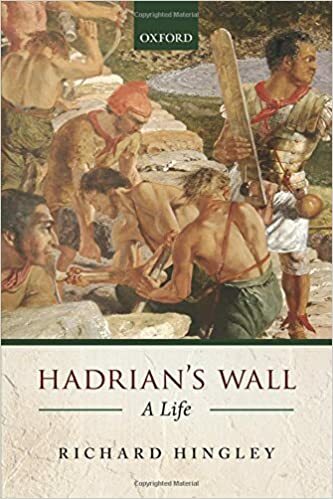 This rather endearing little book provides a fine contrast to Mark Richards’ guide to walking the Wall and belongs in a tradition of early tourists’ accounts of travelling along Hadrian’s Wall that began with William Hutton. She even gets mentioned in Hingley’s book (No.9), for her pains. Jessie Mothersole was a peripatetic watercolourist and illustrated her own books, which are rather gentle accounts of her journeys (mainly through Roman Britain, Hadrian’s Wall being just one of them). It is Jessie who proves that The Wall Weed in Sycamore Gap is not now in its original position (which was in the small circular stell behind the Wall) and has subsequently crept over to its present vandalising location. You can buy her book if you wish but it is in fact freely available at the Internet Archive if you don’t mind reading online or in an ereader. 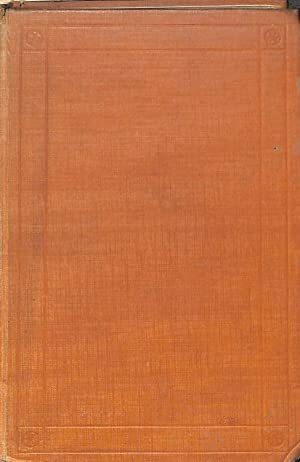 If you want a dead-tree version (some do), it is best to buy a secondhand copy as the ‘new’ books are all print-on-demand reprints of varying quality and may not render the colour plates in the original and all-important colour. 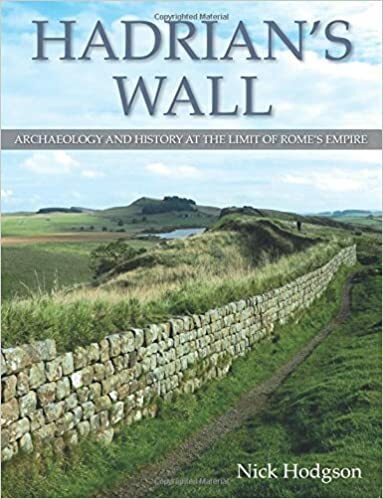 If you are interested in Hadrian’s Wall but have never read an excavation report, you need to do so at least once. 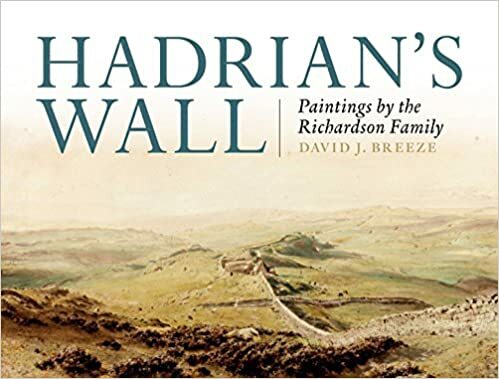 Having myself started out co-writing one (Corbridge) and contributing to a second (Housesteads), I vowed never to become involved with the third of the then major English Heritage Wall backlog sites: Wallsend. Reader, I must tell you I failed. 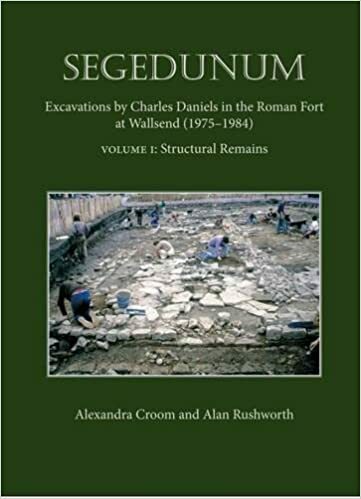 I am one of the contributors to Segedunum (I was self-employed by then and needed the money, so sold my soul to the devil and wrote-up the NW corner). An excavation report is a technical report and, as such, is a dance to a particular tune which has to be done in a certain way in order to accomplish its aim: present facts. There must be a structural description (‘layer 2678, sitting over 2679 and butting against 2433, was a maroon loamy sand containing flecks of charcoal and well-preserved fingernail clippings…’ and so on and so forth), specialist reports on the various categories of finds, and then – if you’re very lucky – a guess (or as we call it in the trade ‘perceptive synthesis’) of what all this gobbledygook tells us about the site. It might even have an index, but let’s not get too ambitious here. Excavation reports are nearly always laughably expensive when they first appear, so here’s a hint. Either get it for free (because you contributed to it or, better still, know some juicy Damoclean tidbit you can hold over the excavator’s head) or wait until it is remaindered by the publisher when it reaches the b*gg*r-this-for-a-game-of-soldiers point of its life and they decide to cut their (inevitable) losses. Few publishers ever have the bright idea of selling them cheap from the start (the Carlisle Millennium reports being a notable exception).